Our concept for VoksenPlus housing is based upon designing sustainable shared accommodation – creating attractive and environmentally friendly homes for senior citizens. Seniors are one of the fastest growing population groups in Denmark. In general, we are living longer, we are more active and have higher expectations for our living standards as we get older – more so than at any time before us. VoksenPlus accommodates these wishes for sustainable and attractive residences, creating the ideal environment for a good senior life. It is a continual wish for many seniors to be part of everyday communities. 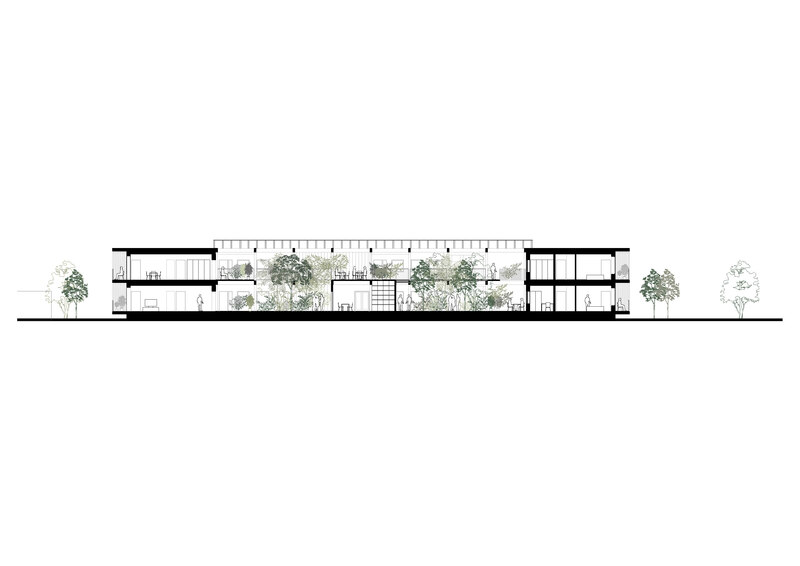 To meet this desire, the VoksenPlus residences are organised as block buildings in 1-3 stories which are connected by a roofed atrium garden. 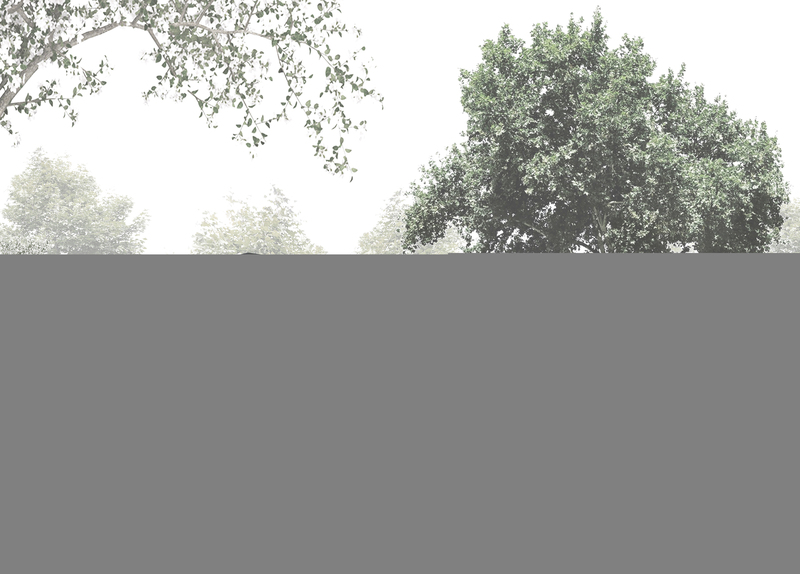 This covered urban space attracts nature into the building and becomes a focal point for the local community. 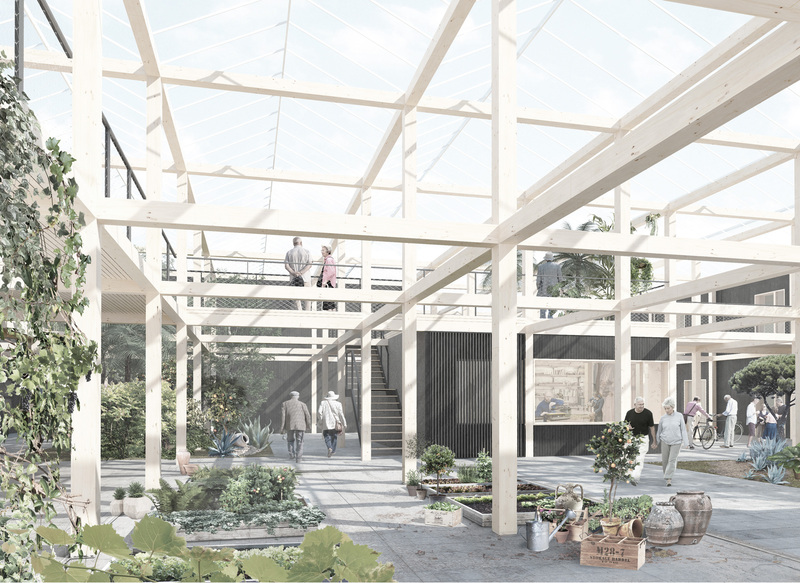 The Atrium Garden is proposed as a common space based on a simple, unpretentious and warm architecture, creating the atmosphere of living in a summer house all year round. While being pleasant and cosy, the space is also designed to be well used, and so it is also robust and resilient to ensure it has a long future of use by the community. By developing a comprehensive design and construction strategy, VoksenPlus housing excels in its response to the environmental, social and economic aspects of sustainability. An example of how this is achieved is in its use of Cross Laminated Timber (CLT) to provide the building’s structure. CLT is one of our most efficient and environmentally friendly construction materials and replaces carbon and energy intensive materials such as concrete and steel. To a great extent, many of other construction systems used on the project have been specified due to their ability to be reused and recycled, extending their useful lifetime. 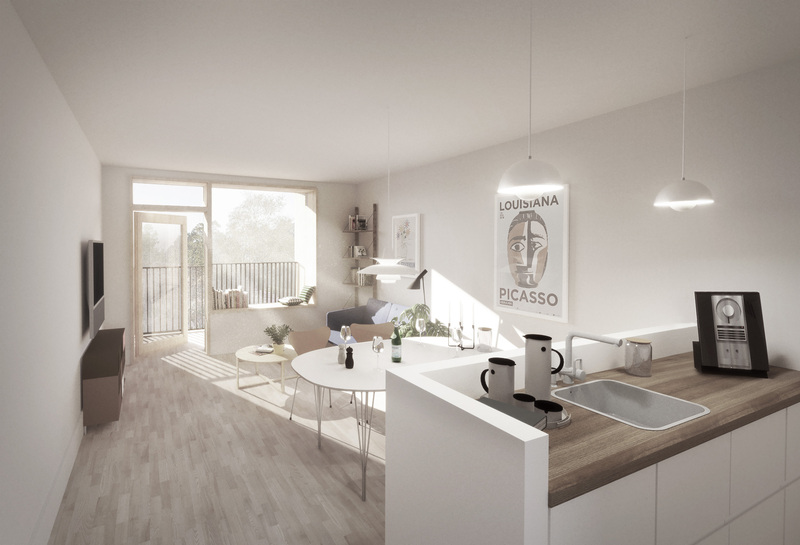 In this way VoksenPlus has been designed to play its part in the circular economy, resulting in a housing concept with the smallest possible CO2 footprint and the largest possible reusability. The ambition is to achieve a minimum of Gold in the DNGB certification for the project. VoksenPlus is characterised by sustainable high-quality solutions, supporting communities, and the well-being and quality of life for the residents. The concept is developed in collaboration with Tetris A/S and will, over the coming years, be developed in various local regions across Denmark. Read more about VoksenPlus at www.voksenplus.dk.